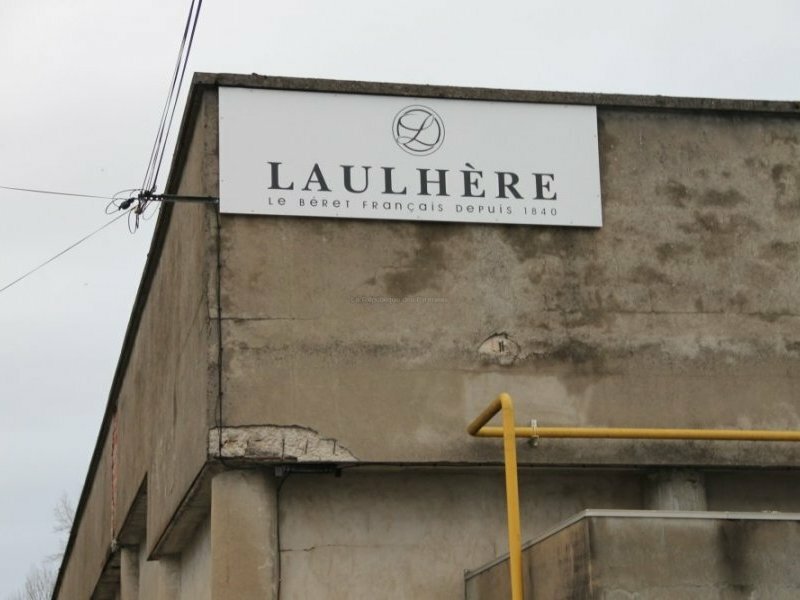 After all the Blancq-Olibet material shown here over the past few days, it's only fair to do the same for Laulhère, once the main competitor of Blancq-Olibet, now their successor. 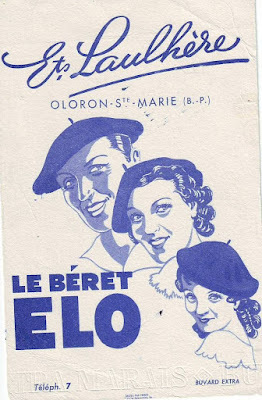 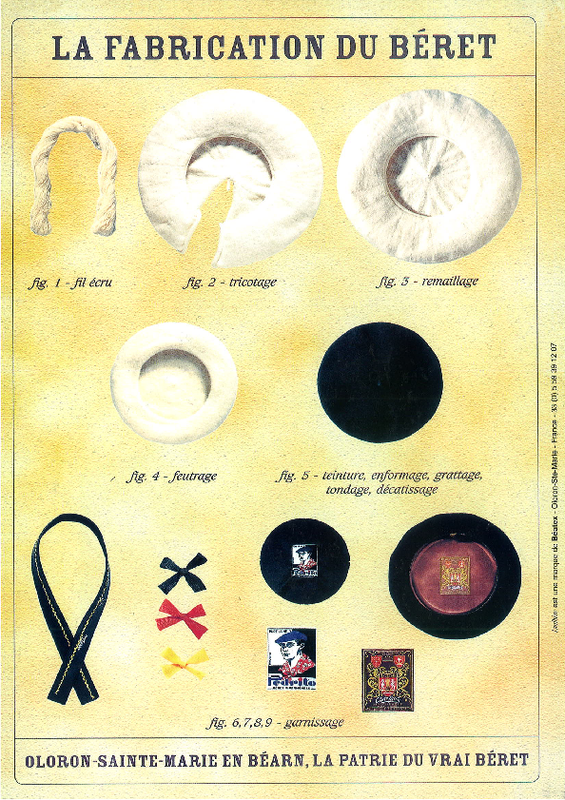 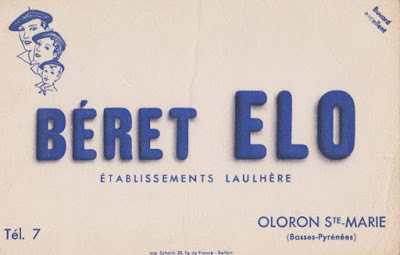 Above a poster that was once very common in many clothing and hat shops in France, showing the manufacturing process of a Basque beret. 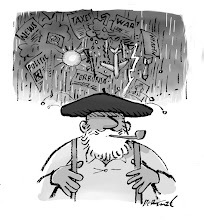 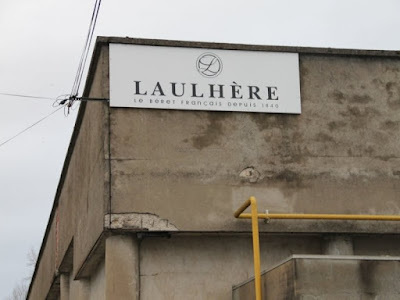 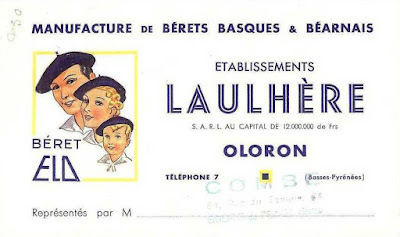 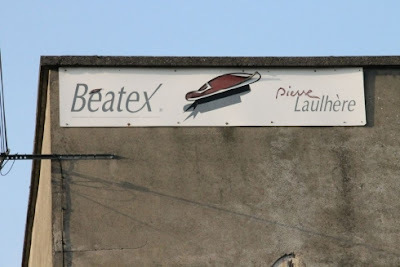 the other depicting the "new" name of Laulhère.